Relax and unwind in our chic, romantic, boutique Cape Cod Bed and Breakfast. The Parsonage Inn is a historic 1770’s Inn, completely renovated and located in East Orleans. Located just over a mile and half from Nauset Beach, walking distance to local restaurants, a wonderful farm shop and gorgeous gift shops, it’s the perfect spot. The Parsonage Inn combines antique with modern, and original features including gorgeous 250 year old restored pumpkin pine flooring. Each of our eight guest rooms offers something different from romantic, to chic, from peaceful to warm and bright. Amenities include, fine linens, sumptuous Turkish cotton spa towels, king or queen sized beds and natural toiletries from fresh. 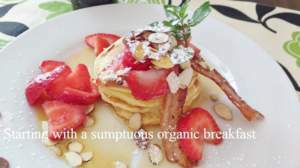 Breakfasts are served either in the dining room or on the patio and are freshly prepared, inspired by local, seasonal and organic produce. At the end of the day, relax on our patio or gardens, with a bottle of wine or prosecco. 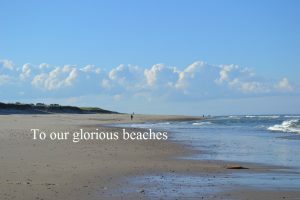 Both Nauset Beach, great for surfing or just sunbathing and Rock Harbor Beach with its famous sunsets are just minutes from the Inn. They offer a wonderful contrast between the ocean and bayside beaches. Orleans offers a variety of theatres, restaurants, bars, shops and galleries. The historic Old Kings Highway, is just minutes from the Inn. It winds its way through some of the oldest villages in America, including Orleans, Brewster and Barnstable. 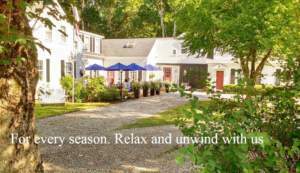 Experience the charm of The Parsonage Inn, a premier Cape Cod Bed and Breakfast.